After finally giving up on the Sheraton Stamford, I strayed from my Starwood roots to stay at Marriott’s Courtyard Stamford Downtown earlier this week. I was surprised and delighted to find the room appointed with many perks, including an LG high definition LCD TV, and a desktop interface with power, communication, and media connections galore! 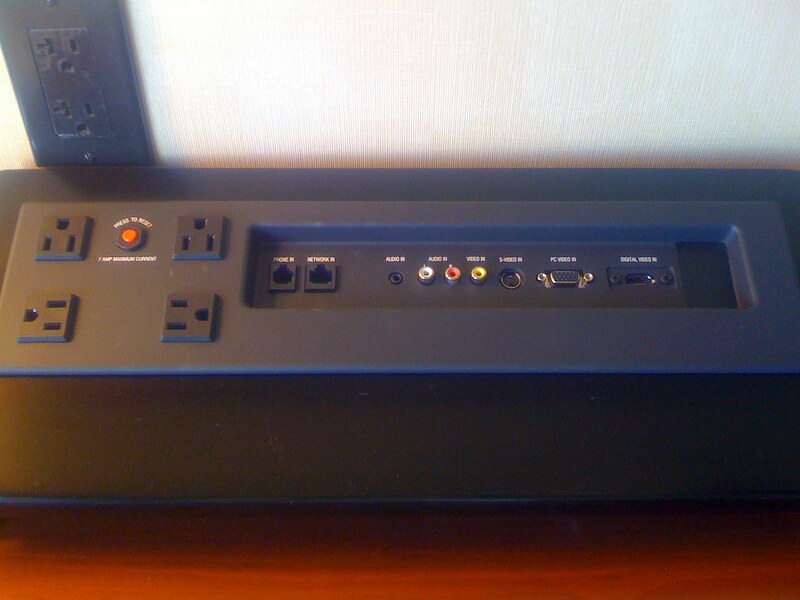 The A/V connectors all feed into the widescreen LCD TV, which auto-detects and selects the connected source. Of course, if you want to go wireless, you can do that, too. The hotel provides wired and wireless Internet access in the rooms at no cost. 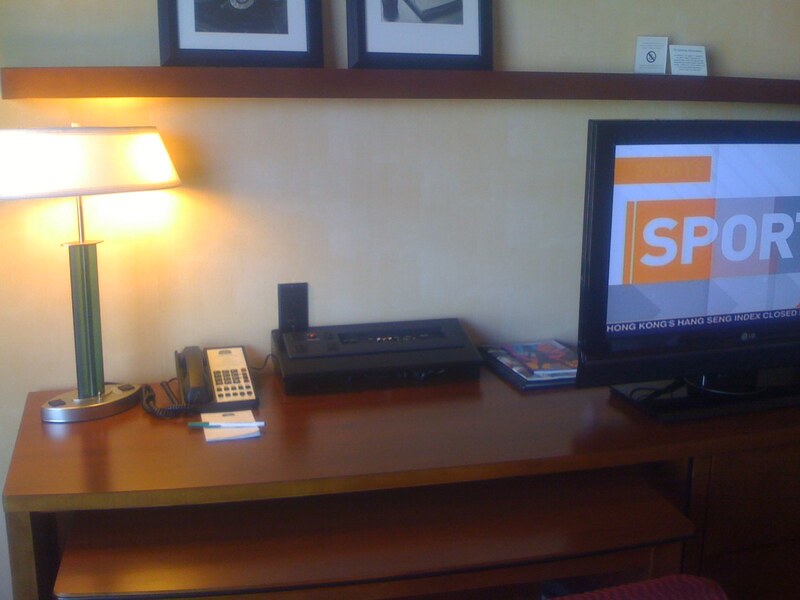 The only negative: the hotel’s television and video service offers just standard definition programming and content. I recently stayed at a Westin Hotel and encountered numerous problems in my room. After reporting the issues to the front desk, I was comped with a generous number of Starwood points, and received a personal e-mail message from the hotel’s front office manager. This was my reply. Thank you. I truly appreciate you doing right by your customers, and I will accept your offer to try [your] Westin again. But frankly, it’s far more important that you correct the problems that the issues I encountered indicate. The multiple problems and inconsistencies in the bed linens and their application suggest a failure in housekeeping staff training and supervision. The disconnected phone suggests a problem with your maintenance staff. And my having to get dressed and visit the restaurant to get sugar for my morning coffee in the room was likely the result of a careless refresh of supplies. I feel like the Westin brand has become very inconsistent over the past few years, and it’s very disappointing to me. Starwood hotels—in particular Westin hotels and above—are my preferred destination for business and personal travel. As I said before, I certainly appreciate the point comp, but I’m more interested in helping to ensure that Westin hotels continue to offer the quality experience that you and I should both expect.